A Finnish-Japanese (?) bluesy folk rock coalition who released their first self-titled release as a cassette and free download on their bandcamp-site in the beginning of January. Shuji Morimoto is one of the many projects of Päijänne Suurjärvi, others of note being Päijänteen suopalloilijat and Guggenheim-projektz. All three share the same spirit of absudism yet have a clear own facet. 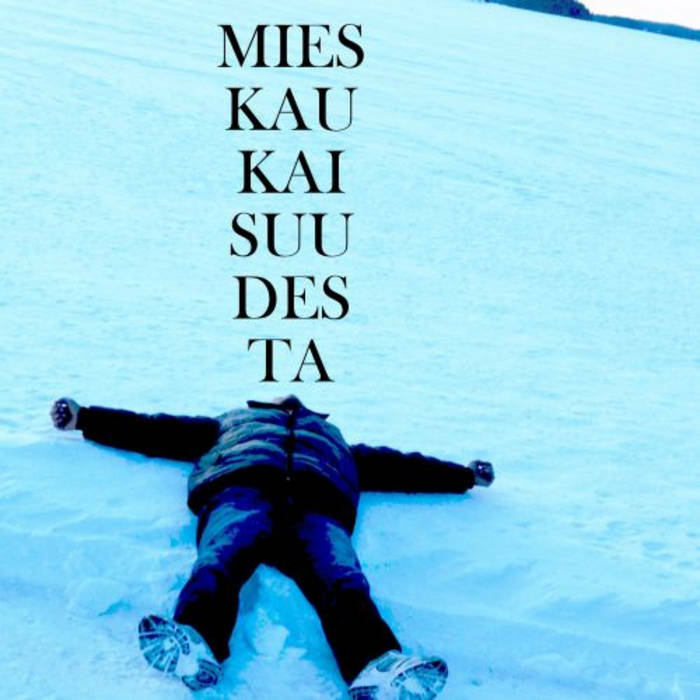 Mies Kaukaisuudesta is something of a mixture of EP and full-length album, consisting of 6 tracks clocking some 25 minutes. The overall atmosphere is very Finnish, but there is an odd heart of far-away-places and absurdism beating under the surface. The compositions are very airy and vocals mostly clear folk rock-vocals, but at times wander to stranger surfaces. d, the vocals and lyrics add a lot freshness and could even say danger to the music. Lyrics are particularly nicely crafted, awaking images of a land far beyond but sometimes they do turn naive. Even if the main image is such a cliche as japan, the lyrics avoid the manganisms and animenisms simply putting in an image of a distant and mystical land. In this type of music the vocals and lyrics are particularly important but the compositions are surprisingly catchy and thought evoking as well. “Mies kaukaisuudesta” with a superbly catchy chorus and “Nousevan Auringon Maa” both have a lot of groove and swing under a relatively simple surface. After multiple listens it becomes clear that the record indeed has a lot of class under a simple surface. Distorted guitars, synthesizers, clean electric guitars and acoustic guitars take their turns and just when the track asks for it, they provide classy lead-sections bringing the whole matter to the next level. The next three tracks: “Planeetta Punainen”, “I don’t know anything about Japan” and “Radiation is not good for your health” slow down the tempo and atmosphere from near-ballad to clear ballad. Surprisingly, in the midst the language also changes from Finnish to English and Shuji Morimoto does it effortlessly keeping the atmosphere intact. And how about saving the best melody for last? Gojira’s stylish jam of a steady melodic beat and guitar leads closes up the album. Is it really a Japanese-Finnish folk rock coalition? Or is it just one man and a made up figure, which even has a facebook page? Here I am suspecting a persons existence but guess what, I do not want to know. Not just yet. This type of mystery is bound to make a project seem somehow more secret and mystic adding its value. In short, I cannot get enough of Shuji Morimoto and Mies Kaukaisuudesta has been spinning regularly on my evening-chilling playlist for multiple months. Extremely recommended.